Ipoh Mali?? | Ipoh Mali Talak Sombong! When I was still staying and working in Ipoh, my hometown, my friends and I would often go out together for meal especially on weekends. A bunch of picky eaters we are, where we found ourselves often make comment on the food we had or the service of that particular establishment. No, we’re no food critic, just being passionate about food. We love to eat and of course, we would hope that wherever we go, we could get nice food that worth our hard earned money. And then, the topic of creating a database or a web portal to gather all the information of these eateries was brought up. Everyone seems excited with plenty of ideas being thrown in but somehow, the idea never got executed until today. But the idea initially sparked my interest to start food blogging and thus, Ipoh Mali Talak Sombong was born. After involved in the blogsphere for more than one year, I have myself a bunch of new friends who share the same passion for one thing in common – food. I’m now currently working in PJ, it’s a whole new life and experience to me. And of course, it’s a whole new environment to be explore and hidden treasures (food) to be uncovered. Food blogging has also indirectly ignited my interest in food photography (foodography). yay cheers to Ipoh Mali!! Thanks for dropping by citygal! Hi friend! know who am I? Hmmm….love all the photos here. nice blog, love you ipoh food review. will link you. Long time no see, how’s life? Hi, thanks for visiting my blog. I’ve mistaken you as another Jason (from jasonmumbles) at first. That’s y now only I start reading your blog. Jacelyn: Heh, no problem on that. Thanks for hopping by. Wendy: LOL, yeah. Ipoh is very small indeed. ah, nice reviews. I really enjoyed the pictures you posted. Sweet memories. I want to go back to Ipoh now. The best and the cheapest food in town! haha..
Felicia: Thanks for stopping by! Yeah, Ipoh food are very cheap indeed. It’s great that you like the pictures. hi ipohwav3………….just come across ur site,loved it as i am fr ipoh but living now in melb.keep up the good work man. im from ipoh too..nice blogs…ipoh food is the best.hehehe..
Sue Me: Hi there, thanks for dropping by! Hey, there s’thing different in town. U may wana check out this place called “sbread” at Midvalley Gardens (Lower Ground Floor, in between the Old and New wing). I’ve sorta tried it in Bangkok before. Really good old fashioned toast with a generous topping of Kaya (that’s really out of this world!!). The kaya has 3 flavours. My favourite is the Yam coz it has REAL yam chunks in it and it’s served hot on your toast. The other one is pandan and vanilla kaya. Apart from kaya, they also hv other interesting spreads like chilli paste with shredded chicken floss. Very unique. Jocelyn: Is it newly opened? Thanks a lot for the information! From the way you described it, it sure sounds very appetizing. u make me miss miss home..im missing ipoh now…*sniff* anyway thanks o.. i lOve all ur pics abt ipoh…great job… oH no..i wan mOmmy now…. Anonymous: Ooo dear, hope that you’ll come back to Ipoh soon! Thanks for dropping by. Anonymous: Glad that you like them. Well, do drop by again sometime ya. Oh wow!….I can’t Believe i”ve not been here! Haha Your blog is excellent! real cool photographs! Do you know of any good halal restaurants in Ipoh to host a birthday party for about 10 people? Do you know if the Citrus restaurant in Ipoh is halal? I want to invite some of my Muslim friends to the birthday party. Lim: Hello. Citrus does not have a halal certification because they serve liquor but they don’t have any pork dishes. I think most of the cafes such as Paprika, Moven Peak and Indulgence follow the same concept. love your blog abt ipoh foods..i m in the states and i miss malaysian foods .. i cant have it here but at least i can see it in your blog..good job.. The name Ipoh Mari Talak Sombong! – very catchy and innovative esp. the word Talak! when you have time, you should take a new batch of picture of yourself.. your own picture should be as nice as the food pictures.. your current look… haiizzz..
Yee: Yeah, pandai la you. Thanks for adding Foodees under your United Nations of Foodies. Hey, saw your article on the star. Great blog! Will link your blog and drop by from time to time! yeah i like yee fatt noodles too ! I am Brian from BestFoodJunction.com and we here, would like to invite you to come to one of our food event next month! It would be an honor if you can attend to this event and would you send me your email contacts so i would email you the details of the events. Do check us out on the website and magazine publication for June 09! I’m sorry, but I don’t know. 🙂 Thanks for your compliments! hey!!! i don’t even know that you been to Guang Zhou! where is my souvenir??!! me also Ipoh Mali! hahaha! Just found your blog. Awesome! Hi, I’m one of the co-owner from THE SALAD BAR, Damansara Utama. Thanks for sharing…i planning go Ipoh with my family. Hey, I’m Ipoh mali as well. Just came across your blog. Love your food photos! Keep up the good work! 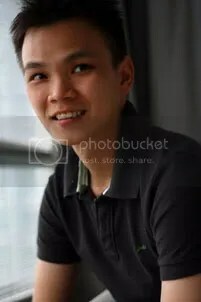 Hello Jason, I am also Ipoh Mali and recently we had open the 1st Mr Wish Fruit Tea outlet in Ipoh Parade. With so many bubble tea brands blooming what is the difference with Mr Wish tea? Mr Wish is the number 1 fruit tea in Taiwan and we use real fruit pulp in making the drinks and it’s more natural and refreshing. Mr. Wish “Drink” Come True.We will like to invite you to try the refreshing drink at our outlet in Ipoh Parade whenever you are back to the nice and charming Ipoh. Do let me know… Maybe upcoming CNY? I just wondering …your drop this blog space or your drop the habit of food blogging? It was sad to see old people leaving this arena. I remember that was one old timer call Jackson Kah…but no where to be find now?